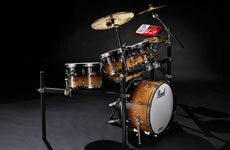 Pearl E-Pro Live is a revolutionary electronic drumset that looks, feels and sounds like real drums. 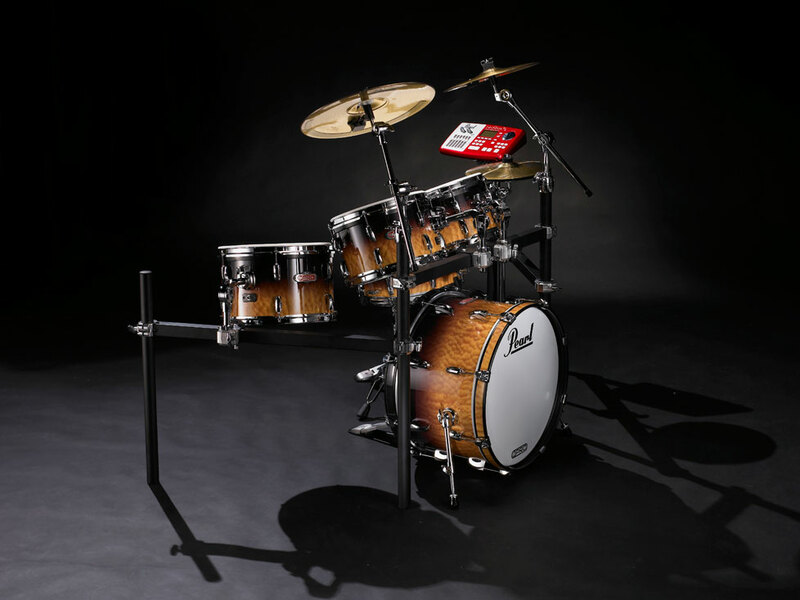 Never before has today's drummer been offered the limitless sonic capability and realistic feel of electronic drums on a drumset built with real drum shells, real brass cymbals, and real drumset hardware, all from the percussion industry's leader, Pearl. 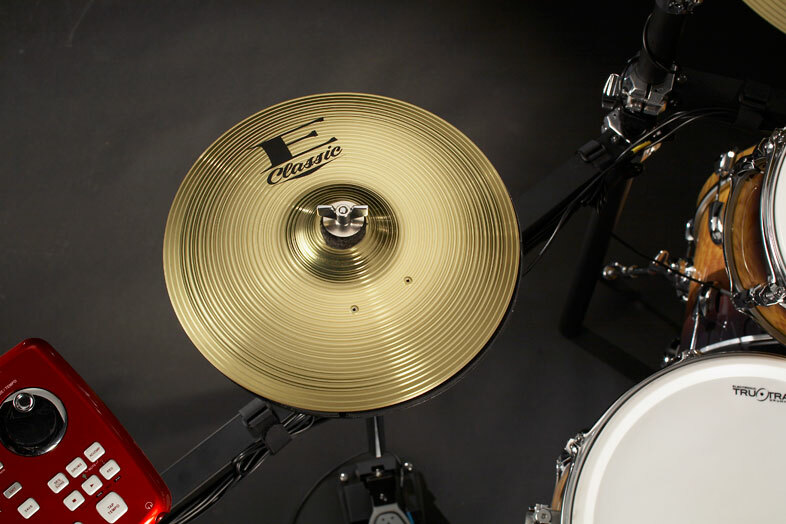 Pearl E-Pro Live looks like real drums because the appearance of your gear is important. It's a statement about who you are as a performer. 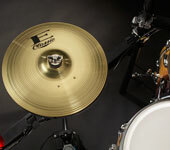 As drummers we would rather be seen playing real drums and not a collection of practice pads. No more playing on small, black 8" pads. 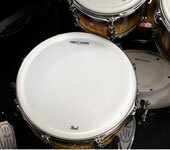 Pearl E-Pro Live features 10 x 6.5, 12 x 7 and 14 x 8 rack toms with a 20 x 12 bass and 14 x 4.5 snare with white heads. Real Feel is the next important ingredient of E-Pro Live. 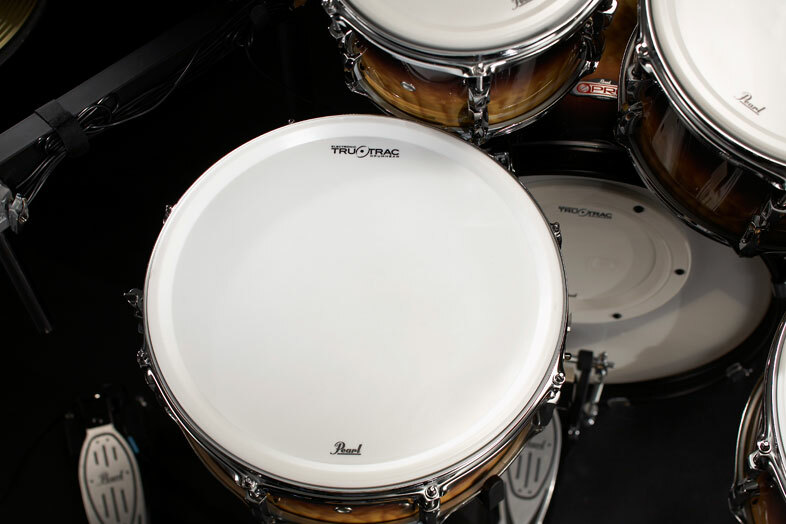 Because, whether you're practicing or performing, we believe playing electronic drums should feel as much like playing acoustic drums as possible. 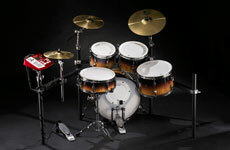 Playing traditional electronic drums with their tightly configured small pads forces you to alter your playing style. 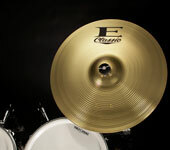 E-Pro live drums are sized and configured exactly like acoustic drums for a natural and real feel. 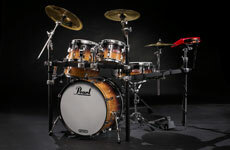 No one makes better hardware than Pearl, and the foundation of Pearl E-Pro Live starts with the modified Icon Rack. 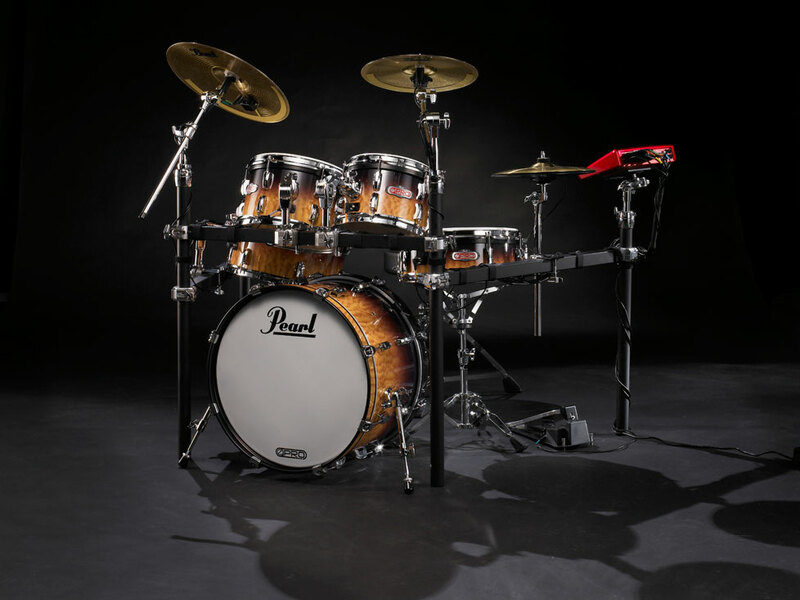 The tom arms, shells, cymbal holders and rack are all covered by Pearl's lifetime warranty. The rack will accommodate adding more drums and cymbals. 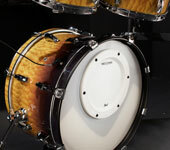 The ultimate goal of a drum module is to reproduce the REAL SOUND of drums. 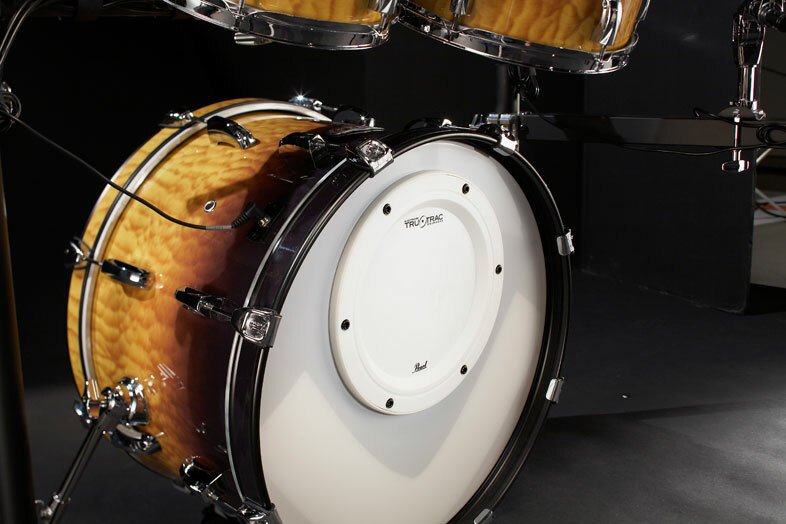 And who better to engineer REAL SOUND than Pearl, the company who knows drums the best. 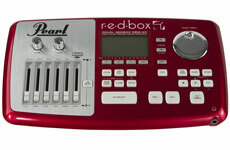 The r.e.d.BOX is Pearl's drum module. R.E.D. 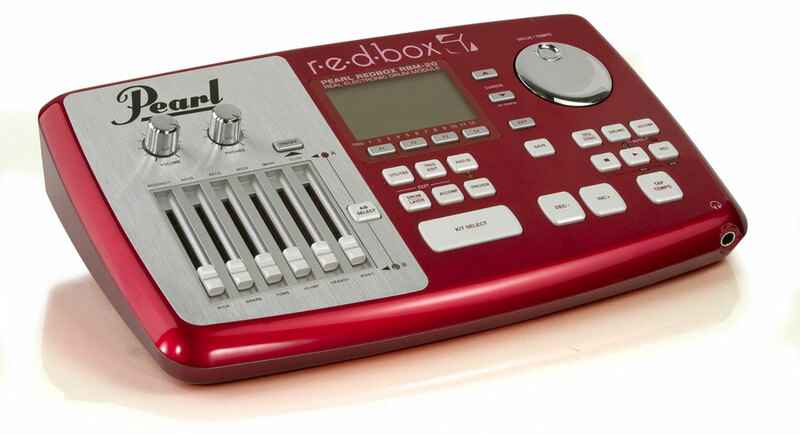 stands for REAL ELECTRONIC DRUMS, and it's also the color of this amazing module. 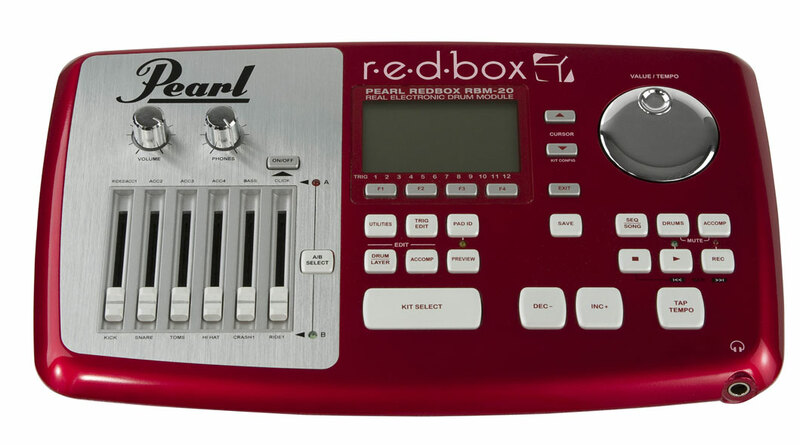 The r.e.d.BOX has 128MB of RAM. 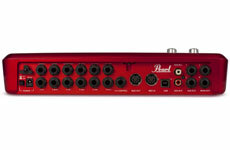 The full memory is used to accommodate the Original Acoustics of 1000 High Definition sounds and 100 High Definition kits. 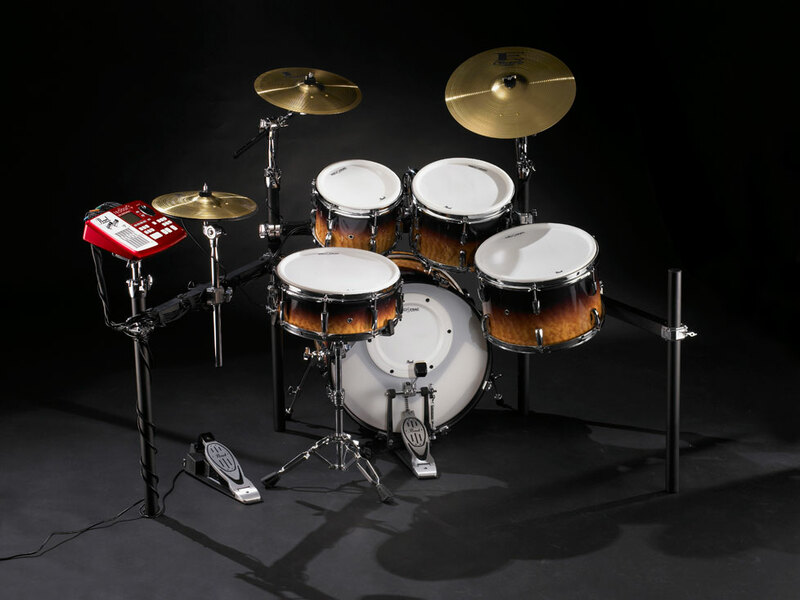 The sound library includes acoustic and vintage drums, electronics from beat machines to modern digital and a variety of orchestral, concert and world percussion instruments. 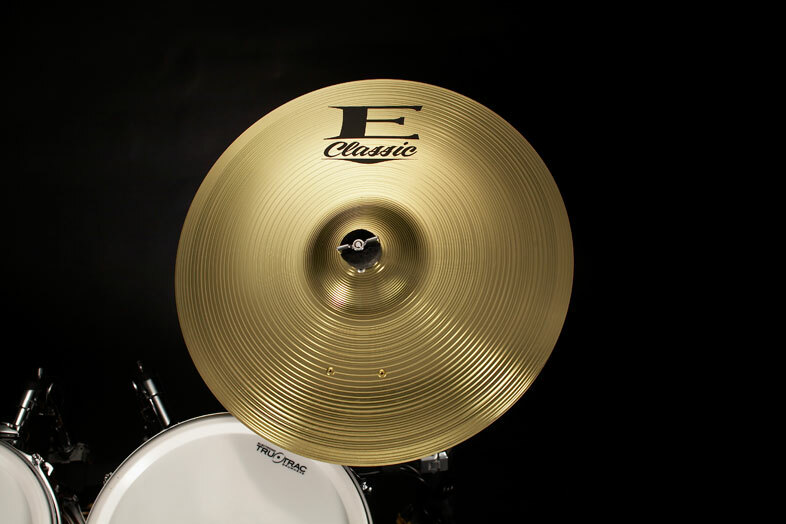 All sounds are fully editable including Tuning, Decay, Filtering, Level, Panning and Attack. 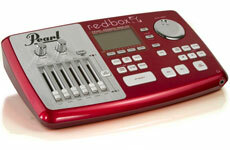 Assign effects include Reverb, EQ, Flanger, Chorus, Vibrato, Delays and Compressor.